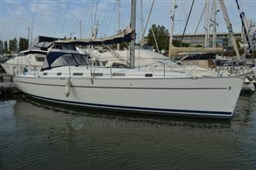 2004 Oceanis 423 Clipper in immaculate condition. One owner form new this boat has been maintained to a high standard and comes with an excellent specification including diesel heating and bow-thruster. Winter ashore each year this boat is fitted with the 2.1 m keel and comes with performance rig. New sails in 2009. Irish registration. CALL NOW to arrange viewing! 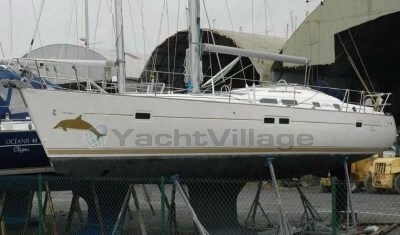 Guten Tag, Ich habe auf YachtVillage Ihr Angebot gesehen für Beneteau Oceanis 423 - 2004 (code: 421723). Ich interessiere mich für das Angebot und möchte Sie bitten, mich zu kontaktieren. Vielen Dank.